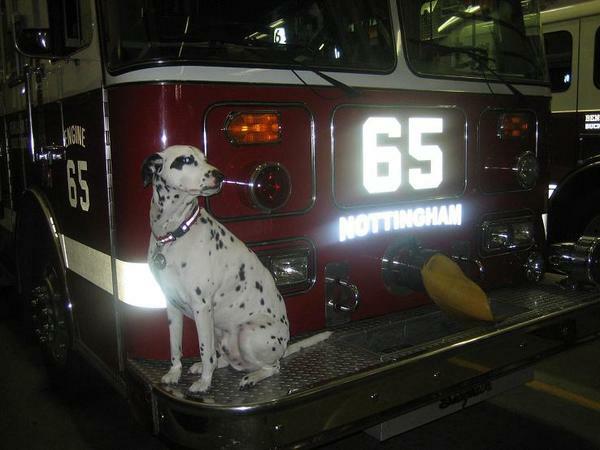 It is with deep regret the officers and members of the Nottingham Fire Department announce the death of Nottingham Charter Member William Yoast, who passed away on Thursday January 3,2013. Mr. Yoast was appointed as the Nottingham Fire Department's first President in April of 1958, and elected as Company President in 1959. Thoughts and prayers of the entire NFD family are with the Yoast family during this time. Companies were dispatched to the 2200 block Lakewood Ave for report of a dwelling fire. 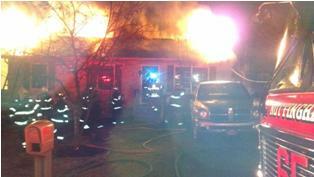 Chief 16 (Incident Command) AOS and reported heavy fire showing from the rear and roof of a single family dwelling. Ladder 65 arrived and went in-service with truck co operations and then pulled an 1 3/4" waterline to the interior. Rescue 16 went on location and stretched an 1 3/4" water line (they were supplied by Engine 37). R-16 reported had an issue with its pump and a second line was pulled to the interior by Engine 37. Deputy 65 (interior command) reported heavy fire conditions in the attic. All hands were placed in-service for an extended period of time (additional companies on the fire ground were Engine 65, Ladder 16, Quint 28 and Rescue 4, Medic 185). No injuries were reported and Bensalem FMO was on scene handing the investigation. Battalion 222 AOS, 2 story middle of the row town home with smoke showing. All hands were placed in service. No injuries were reported and Bensalem FMO was on scene handing the investigation. Chief 9 AOS with smoke showing from a 2 story single family dwelling. Crews from E9 & R8 encountered heavy fire on the second floor while L65 ventilated the dwelling. E7 & R4 were also placed in service. No injuries were reported and FM244 was on scene handing the investigation. 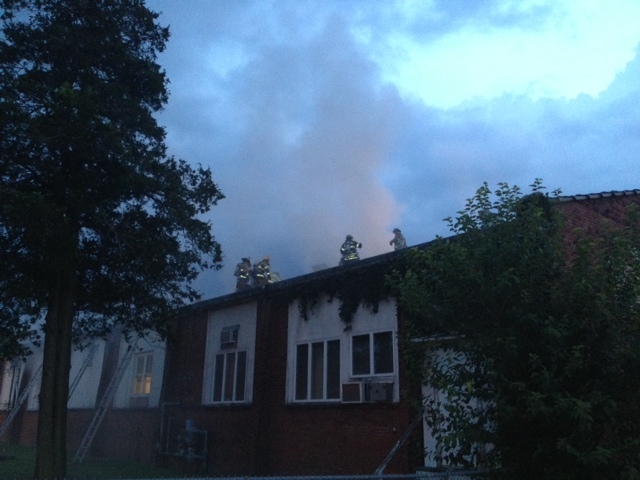 Chief 65 AOS reporting fire showing from the roof area of the Clubhouse Diner. Engine 65 established a water supply and went in service. L65, TW16 & R8 were also placed in service and the fire was quickly knocked. Bensalem FMO on location for the investigation. 22PD on location reporting a working fire, Deputy 65 AOS, established Nottingham Command and placed all hands in-service. Heavy smoke was visible and as crews were stretching a 2 1/2" attack line, fire vented from the windows on the Side A/B corner. Interior crews reported deteriorating conditions and command struck a second alarm and ordered the building evacuated. Master streams were placed in-service to knock down heavy fire conditions from the roof area, then interior crews were placed back in-service. All units remained on scene for an extended period of time and one minor injury was reported. 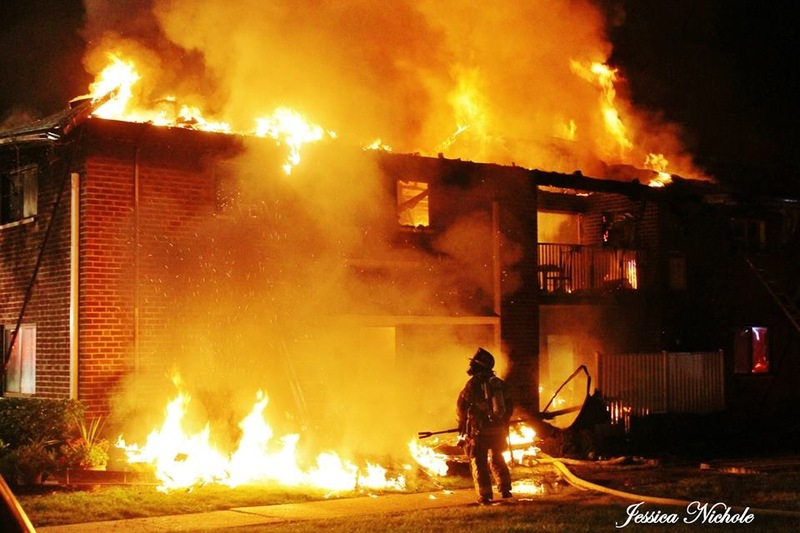 Bensalem Fire Rescue (FMO), PD and ATF were on location handling the investigation. Chief 7 arrived on scene with heavy fire showing from the the roof and second floor of a two story garden apartment. All companies were placed in service. Second and third alarm were requested. Master stream placed in service. The Fourth alarms was requested for manpower. It is with deep regret the officers and members of the Nottingham Fire Department announce the death of former member David Moyer, who passed away early Tuesday morning. Dave was a big part of the Nottingham Fire Department in the late 80's and early 90's , he will also be remembered for his many many years as a Bucks County fire dispatcher and Radio Room supervisor. Our thoughts and prayers are with the Moyer family at this time. Chief 8 arrived on scene with heavy smoke showing from the roof area , interior crews reported fire in a machine. All hands in service. Second alarm was struck for manpower. 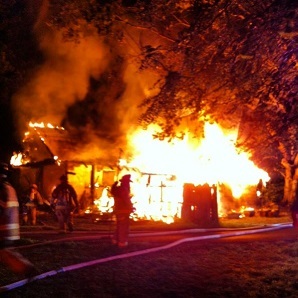 Chief 44 arrived on scene with a fully involved garage , All hands were placed in service. 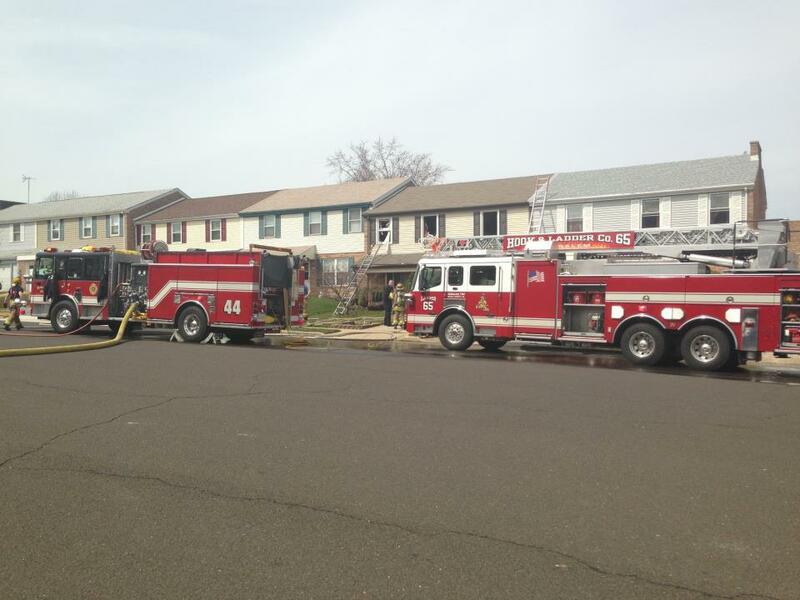 No injuries were reported and Bensalem FMO was on scene handing the investigation. NFD members attended the annual Bucks County Fallen Firefighters memorial service, which was held in the courtyard of the Bucks County Courthouse. 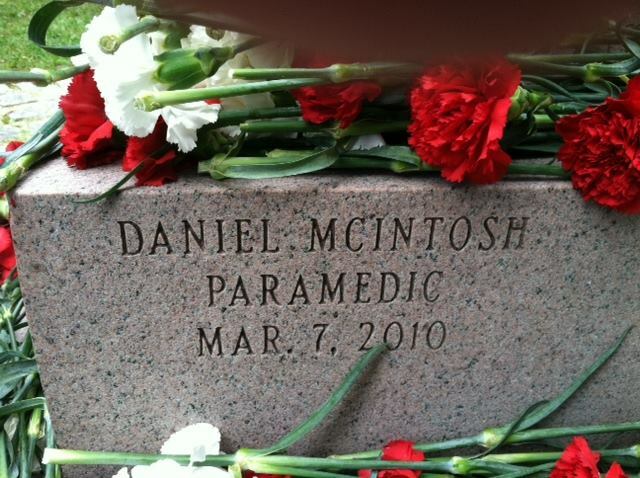 The name of Bensalem Paramedic Daniel McIntosh was added to the memorial. McIntosh died in the line of duty March 7, 2010. Thank You to all of our friends, families and members of our local community that came out for this year's annual open house, and thank you to all of local businesses and organizations that made donations or spent the day with us. 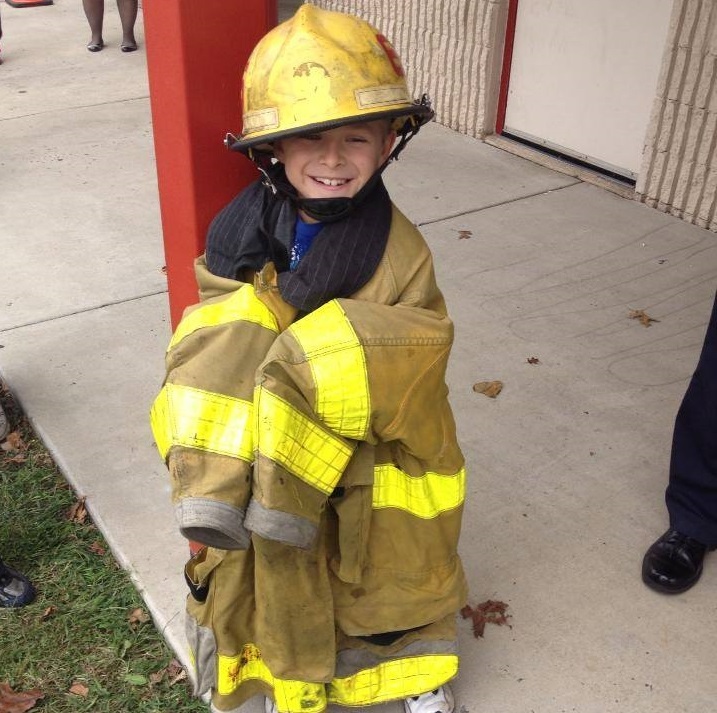 All money raised from the sale of food, lemonade and raffle tickets will be donated to the Alex's lemonade stand charity in the name of the Nottingham Fire Department. Thank you for your support. An early morning crash on the Pennsylvania turnpike involving three tractor trailers caused the eastbound lanes to be closed for approximately 7 hours. Crews from E65, E84, R2, R4 & R9 all assisted with the rescue operations and hazard control at the scene.